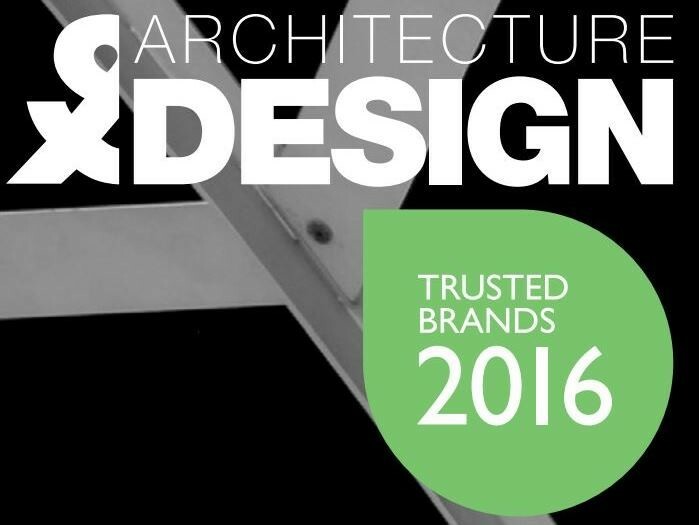 Architecture & Design has announced the results of its annual Top Trusted Brands 2016 survey, once again revealing Australia’s best brands in the architecture, building, construction and design industries. With 341 nominated brands and a total of 13,456 votes, Weathertex Australia was named the number one Top Trusted Brand for 2016. The 2016 survey revealed the common themes associated with a trusted brand, including great service, products and reliability – as well as other socially driven themes of eco-friendliness and Australian made. Companies competed for a place in the overall Top 10 Trusted Brands for 2016 with survey-newcomer, Weathertex Australia placing first, Dulux Australia placing second and Bluescope Lysaght placing third. “The results this year confirm that being socially and environmentally responsible is closely linked to trust. People want to make a purchase decisions that benefit the wider community – that can be seen in this year’s winner, Weathertex Australia whose offering ticks all of these boxes. This is a clear message that Australian’s are looking for quality products and service, but the brands also offering a way for them to make ‘responsible’ purchasing choices will certainly have the competitive edge” said Wilson. Companies offering products or services were nominated for recognition in one of 25 categories to highlight their innovation, application or quality in a particular area. Architecture & Design readers voted for their favourite brands by allocating a maximum of 10 votes to 10 different nominated brands between 14 October and 25 November 2016. The top 10 winners receive a range of prizes including an award certificate acknowledging their position, placement of the Top Trusted Brands 2016 badge on their ArchitectureandDesign.com.au profile, editorial coverage in Architecture& Designs media publications and more. The Top Trusted Brands survey is Australia’s leading national showcase of the best brands in the architectural, building, construction and design industries. ArchitectureandDesign.com.au is Australia's largest architecture, building and design industry media providing daily updates on the best in new projects, industry news and expert commentary. We act as a information hub for practicing architects, designers, builders, specifiers, engineers, developers and suppliers - the professionals creating Australia’s buildings. The Top 100 Trusted Brands Survey was established in 2012 and is Australia’s leading national showcase of the best brands within the Building and Architecture space. Brands compete in one of 25 categories. They will also compete for a place in the overall 10 Top Trusted Brands for 2016 to receive editorial coverage in Architecture and Designs suite of media publications.